There are a lot of apps floating around which make you wonder what we did before we became so digitally dependent. Once upon a time, people had to write things down and look after the paperwork (or at least, hire a secretary to do so). Nowadays, we can store things digitally, forget about them, and have them remind us when they need to be read. The Cydia tweak featured today really takes the digital slavery to a new level, though. Ever gone to type in a message, note, or reminder, and then decided that actually, that required too much effort and subsequently let it go? Well guess what, there’s an app for that! Depending on whereabouts you reside in this world, you would have seen the adverts for Google’s Voice Recognition service of which the text is presented “ah-bit-lyke-thiss”, giving those of you that find writing short sentences tedious, but can muster the energy to dictate, an easy way to convert speech into text from which to search. Success! Indeed, it’s one of those apps that makes you determined to speak slower and achieve a full sentence without typing. There are people in this world who would walk further than their TV to get to a remote control – because it’s easier to use once they have it, they don’t have to get up again. 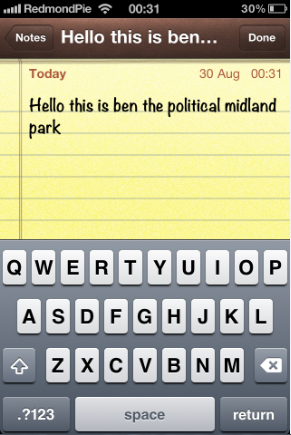 This tweak follows that motif; It’s quicker to type, but it’s easier to speak. 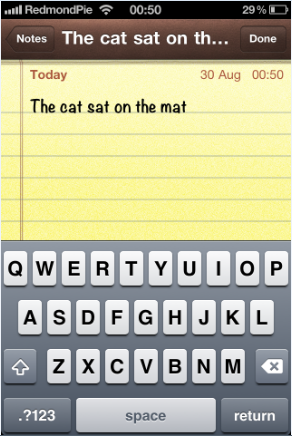 It’s available over at the BigBoss repo, and is absolutely free. It’s pretty straightforward to operate – there are a few settings which you can play around with. There is no springboard icon – all configuration occurs from within the Settings app. Give it a go! It’s a fun tweak, and could be a taste of things to come in iOS 5. 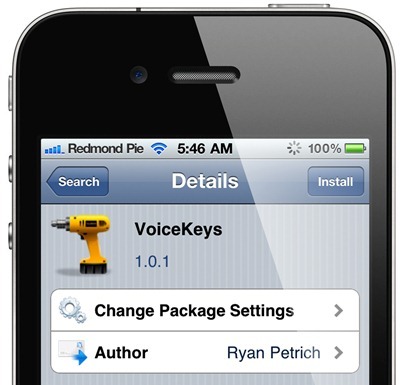 In order to get started with VoiceKeys, you will of course need a jailbroken iPhone. You can follow our step by step guide posted here to jailbreak your iPhone, iPad or iPod touch on iOS 4.3.5 using Redsn0w (or PwnageTool), or on iOS 4.3.3 using Redsn0w, PwnageTool, Sn0wbreeze & JailbreakMe (that last one being the easiest).